Google+ has been growing at an astonishing rate over the past month, and with that growth have come many new networking opportunities. Many of these opportunities are driven by the platform’s Circles functionality, and in particular the way that Google+ makes it easy to see who’s added whom to their network. I have spent quite a bit of time looking through the connection lists of the people that I know and admire, identifying other people who I’d like to know better, or who I think I can learn from. 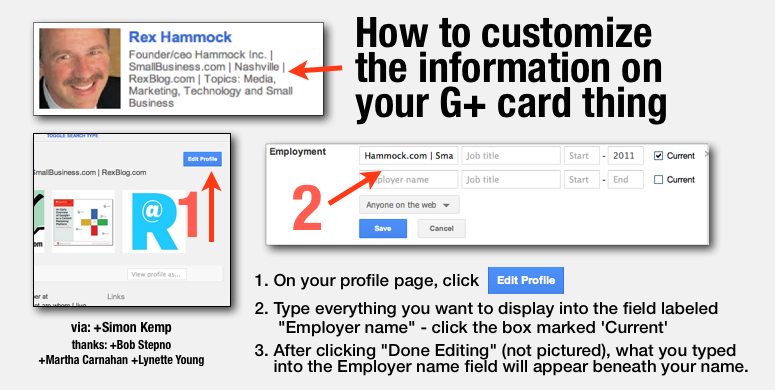 Most of the time, the information in this ‘mini-profile’ is restricted to people’s profile picture; their name; their current employer; the option to add them to Circles (if you’ve not done so already) or the Circle(s) you’ve added them to, and finally, the connections you share. That’s all useful information, but it’s also quite limited, and may not be enough to capture suuficient attention if the mini-profile appears as part of a larger collection of people. In particular, I’ve actually failed to identify some of my existing Twitter connections because I’ve come to know them by their Twitter handle rather than their real name; simply seeing their name and employer in their Google+ mini-profile was not enough to connect the dots, especially when their profile picture differs from the one they use as their Twitter avatar. Also, I’ve probably missed many new and interesting connections, simply because their mini-profile doesn’t share any info beyond their name (either because they haven’t added their employer details, or the G+ system hasn’t pulled them out correctly). 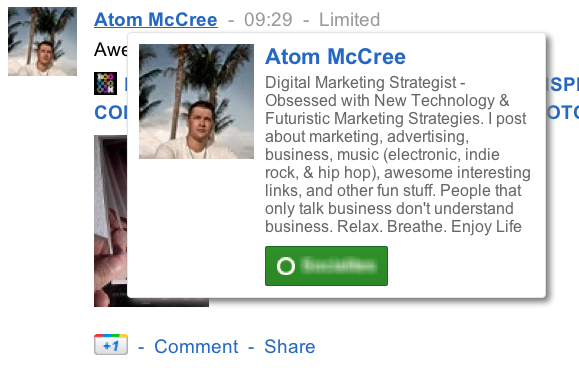 Atom has successfully tweaked his mini-profile to include a Twitter-style bio, and it immediately caught my attention. I’ve added my Twitter name because I’m pretty sure more people know me by that name than do by my ‘real’ name. I’ve also added a little bit of detail about what I do at BBH. It seems like you can include a considerable amount of info in this way, but my instinct is that ‘incisive brevity’ is the way to go: the mini-profile is best suited to an interesting snapshot of who you are – an invitation to find out more about you on your ‘About’ profile. I’m not sure if I’m alone in the way I’ve been building my Circles, but I think it’s well worth exploring how you can enrich these mini-profiles to ensure they help you take full advantage of the networking opportunities offered by G+. UPDATE: Lynette Young made this great video guide to the tips above – well worth a few minutes of your time! 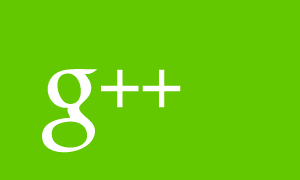 Do you have any useful tips on making better use of Google+? Feel free to share them in the comments below. This isn’t working consistently for me. Strangely, my enhanced info entered into the employment field shows up sometimes when I hover over my profile pic next to posts, but not other times. Any ideas? Hi Shelley, I’m not a technical whizz on Google+, but I’ve noticed it can take a short while for the fields to update throughout the site. This is about as rudimentary as tech advice gets, but you could try updating the fields, then clearing your cache, shutting down the browser, opening it up again, and seeing if that’s sorted it. If that doesn’t do it, try reaching out to a Google+ person (there are loads on there who enjoy interacting with users) who may be able to provide some proper guidance. Hope that helps! You’re right, it does seem to be working ‘full time’ now. I logged out, closed any Google-related tabs in Firefox, then open Chrome and re-logged in. Things were working as expected. Not sure logging out was necessary, G+ could have caught up on its own. thanks for the quick follow up.